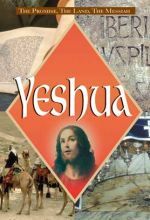 Yeshua, the Hebrew name for Jesus, offers a fascinatingly new view of Jesus' life. 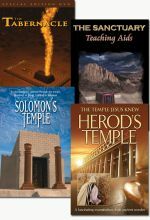 Presented by Dr. Oswald Hoffmann, Yeshua reveals ancient customs and beliefs with exceptional clarity and detail. 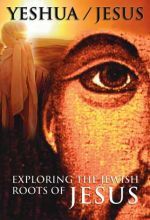 In this documentary investigation, we explore the intriguing heritage of biblical Israel and the Jewish origins of the Christian faith. This video uncovers some wonderful truths about the character, background and personality of Jesus which have been overlooked by much of the church. Your spiritual understanding and insight into the Bible and the world in which Jesus lived and ministered will be enriched and enlarged. 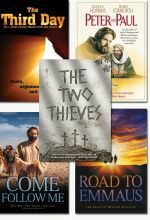 Set includes Peter and Paul, Third Day, Come Follow Me, Road to Emmaus, and The Two Thieves. 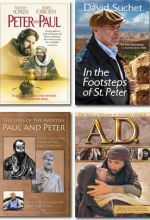 Includes Paul the Apostle, A.D., Bonhoeffer: Agent of Grace, and Peter and Paul. 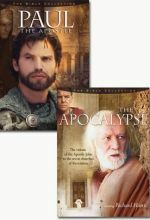 Includes The Apocalypse and Paul the Apostle. 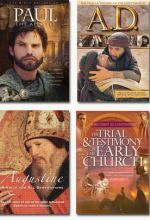 Includes In the Footsteps of St. Peter, Peter and Paul, The Lives of the Apostles Paul and Peter, and A.D.
Includes The Trial and Testimony of the Early Church, Augustine: A Voice for All Generations, A.D., and Paul the Apostle. 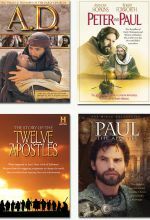 Includes A.D., Paul the Apostle, Story of the 12 Apostles, and Peter and Paul. 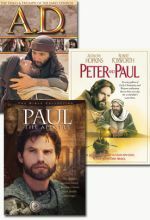 Includes A.D., Peter and Paul, and Paul the Apostle. 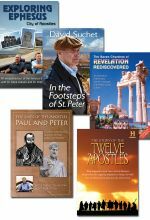 Includes Exploring Ephesus, In the Footsteps of St. Peter, Seven Churches of Revelation, Lives of the Apostles Paul and Peter, and Apostle Paul and the Earliest Churches. 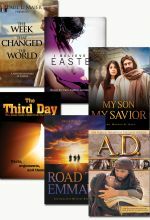 Includes A.D., Road to Emmaus, The Third Day, I Believe in Easter, The Week that Changed the World, and My Son, My Savior. 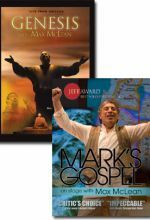 This set includes two stage performances with Max MacLean: Genesis and Mark's Gospel (new edition). 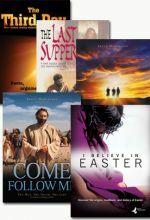 Set includes five DVDs for Easter: I Believe in Easter, Road to Emmaus, Come Follow Me, The Last Supper, and Third Day. 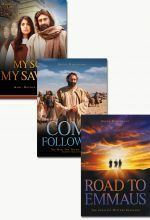 Includes Road to Emmaus, Come Follow Me, and My Son, My Savior. 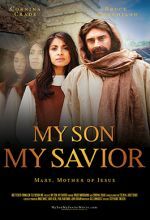 From the makers of the award winning biblical dramas, Road to Emmaus and Come Follow Me, comes My Son, My Savior, a powerful portrayal of the life of Jesus as seen through the eyes of his mother, Mary. 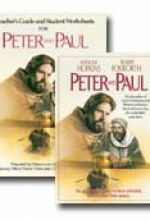 Set includes Peter and Paul DVD and 112 page study guide. 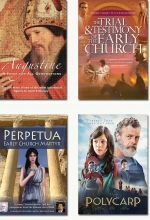 Includes Polycarp, Augustine: A Voice for All Generations, Trial and Testimony of the Early Church, and Perpetua: Early Church Martyr. 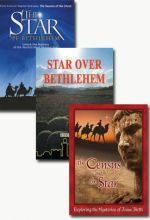 Three fascinating documentaries exploring the mystery of the star of Bethlehem. Stevie's Treks is a fast-paced, fresh, and fun travel-adventure series designed for tweens and teens who want to explore the world and learn about God. 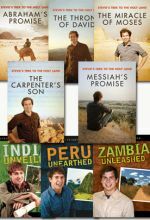 This set includes eight episodes: Abraham's Promise, The Miracle of Moses, The Throne of David, Carpenter's Son, Messiah's Promise, Peru Unearthed, India Unveiled, and Zambia Unleashed. 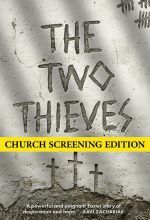 The Church Screening Edition comes complete with the following items: - DVD copy of Two Thieves - A HD Digital Download of Two thieves - An official letter showing you have purchased the right to screen Two Thieves in your Church. 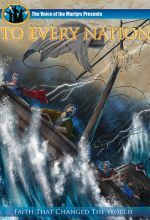 To Every Nation is the third and final installment of The Witnesses Trilogy. In God With Us we witnessed the coming of Christ. In The Messengers, we witnessed the birth and empowering of the early church. Now, we witness the church’s miraculous growth and learn how the first believers took the gospel To Every Nation. 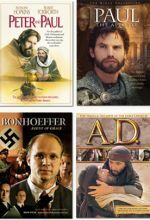 Covering the Book of Acts chapter 10-28, this thrilling animated feature shows how the Christian faith changed the world. Recommended for children age 7 and up. 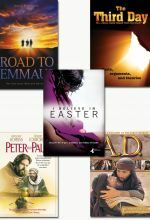 Set includes A.D., Road to Emmaus, Peter and Paul, I Believe in Easter, and The Third Day. 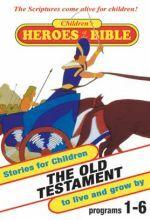 An inspirational and fun-filled DVD featuring the great Bible stories that capture every kid's imagination.